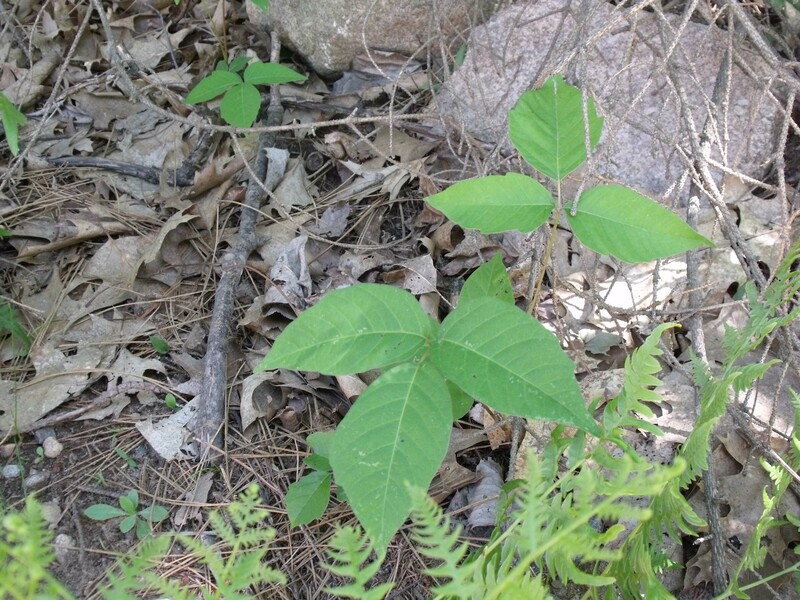 Leaves of three, leave it be – poison ivy! I am at summer camp with the Boy Scouts this week. We are at camp Tesomas in northern Wisconsin, not far from the UP (Upper Peninsula) and it is truly the north woods. It is good to get away; no, it is wonderful to be a boy all over again. This place takes me back in time, when I could play, and run, and swim, and fish, and just be outside. I missed my Monday post, and Sunday post, too. I am blogging, but at a different location – I posted a short MtDC (Making the Days Count) with pictures this morning at the troop site – it is Wheaton Troop 35, please follow the link. The past two years I blogged and shared MtDC with the parents, this year I am blogging at the troop site. I had hoped to be able to do both the troop site and blog here, too – but I am realizing that it is difficult to keep up, so I’ll do what I can and keep you updated, via short posts with a link to see the troop post. It was chilly this morning, 43 degrees but it warmed up quickly. It has been fun watching the boys. I am spending my time with the younger, first year, scouts and I am watching while they are working on lashings – using rope to tie two wooden poles together – to build structures; structures like towers and things – boy things. The also learned about poisonous plants, how to avoid them, and what to do if they are exposed, but above all – what they look like so they know what to avoid. I jump in to help, when I need to – the teacher in me is never far away. Throughout the week, the newer scouts will work on rank advancement and learn basic first aid, scouting skills – knots and lashings, and finding directions by using the sun and even the moon and stars. W has been busy, too. He’s working on four merit badges, but most of his energy is focused on being the Senior Patrol Leader at camp. He’s responsible for communicating schedules and making certain that scouts are ‘staying between the lines.’ It is amazing how far he has come since his first scout camp in 2009. Each year he has grown, matured, and is beginning to show real maturity. He’s off to high school this fall and I know he is ready. He has his goofy moments, but I do, too; well sometimes, I do. 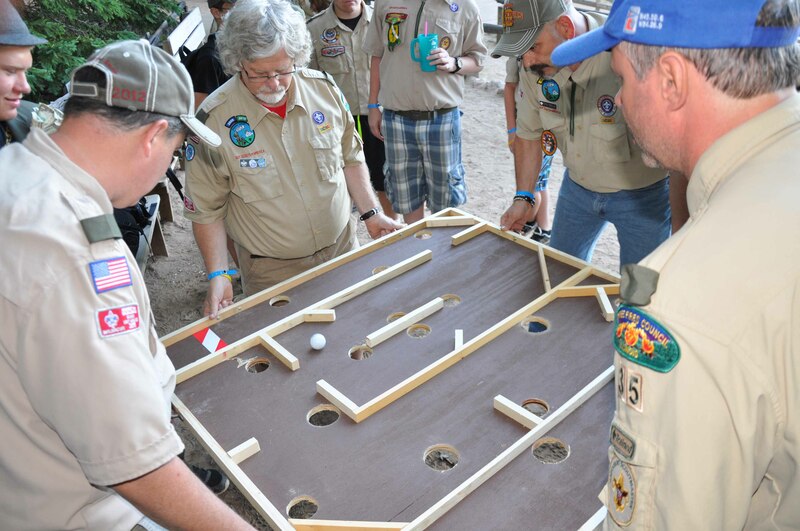 even the ‘Old Goats’ get to have fun and play games like the scouts! Today was a great day, I saw laughing, and I saw the excitement of the look of a boy getting to be a boy. There is no better place, than camp. Tomorrow will be here sooner than I am ready, my tent is just a short walk and I know that as soon as I climb in my sleeping bag, I will be asleep. Tomorrow will be a great day, too – maybe a million and six times better! Making the days Count, one summer camp day at a time. Did you go away to camp? What do you remember?